Obituary for Isabel B. Ellis | Cronrath-Grenoble Funeral Home, Inc.
Isabel B. Ellis, 89, a longtime resident of Watsontown, passed away Tuesday, January 22, 2019 at Riverview Manor, Lewisburg, where she had resided the past several years. She was born August 13, 1929 in Watsontown, a daughter of the late William and Eva (Zarr) Marshall. On July 21, 1962 she married James E. Ellis who preceded her in death March 14, 2008. Together they celebrated 45 years of marriage. Isabel retired from Chef Boyardee, Milton. She cherished the many years she had with her husband raising a family and growing their home. 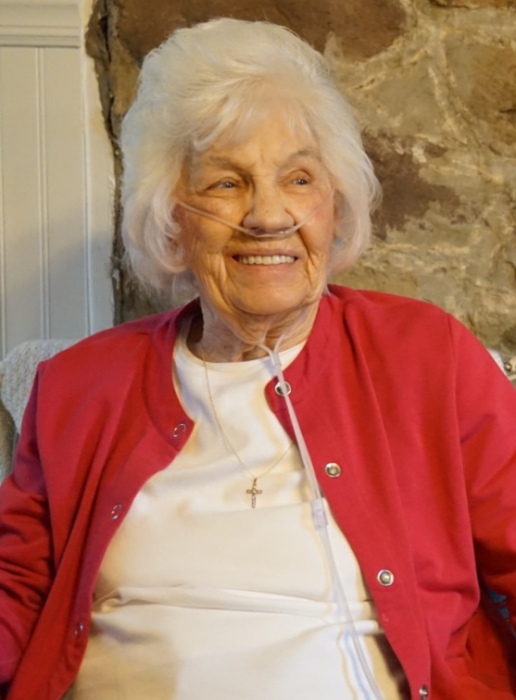 Beyond spending time with her immediate family, Isabel also deeply loved her extended family at Riverview Manor, and enjoyed the many crafts and activities shared together. She was a member of Trinity United Church of Christ, Watsontown. Surviving are three daughters and sons-in-law, Sandra and John Fisher, of Elimsport, Tina and James Perruquet, of New Bern, NC, Susan and Harry Hamilton, of Elimsport; two step daughters and step sons-in-law, Bonnie and Randy Follmer, of New Columbia and Rosemary and Pete Amiri, of Leesburg, VA; one step son, James E. Ellis, Jr., of Watsontown; two sisters and one brother-in-law, Ruth and Marlin Bennett, of Montgomery and Dorothy Lentz, of Austin; six grandchildren, Aaron, Brandy, Jamie, Destiny, Lauren and Caitlyn; and six great-grandchildren, Nichole, Brynn, Hudson, Ryker, Merric and Jacob. In addition to her parents and husband, she was predeceased by two brothers and three sisters. Funeral Services will be held at 10:30 a.m. on Saturday, January 26 at Cronrath-Grenoble Funeral Home, 308 Main St., Watsontown, with Pastor Michael Reece, officiating. Burial will follow in Green Lawn Memorial Park, Montgomery.